Will the Raiders play 2019 in Oakland? We're joined by the Oakland Coliseum Authority's Scott McKibben with the latest from the Bay Area. Then we talk to the man on a mission to move the Super Bowl from Sunday to Saturday as Dr. Aaron Perlut will lay out his case. We talk lots of #Raiders draft strategy and welcome Pro Football Focus' Senior NFL Analyst Mike Renner with his latest mock draft. 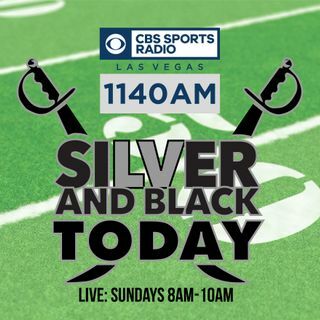 Scott Gulbransen and Kelly Kriner are on the mic and will wrap up the Super Bowl and ... See More more.